June 12th, 2018 at the age of 58. Albert is survived by his loving daughter Hollie (Tegan) and his adoring grandsons Jaxson, Austin, Damian, Hayden and Houston. Albert is lovingly remembered by his dearest friend Wayne Perry and his wife Liz and family. Also, the Ribson Family made Albert’s life full of beautiful memories because of their love, support and friendship. Albert is predeceased by his loving parents, Albert & Patricia Quenneville; mother Carol Uzninski; step-sisters Pamela Petz and Debbie Roy as well as his grandparents. 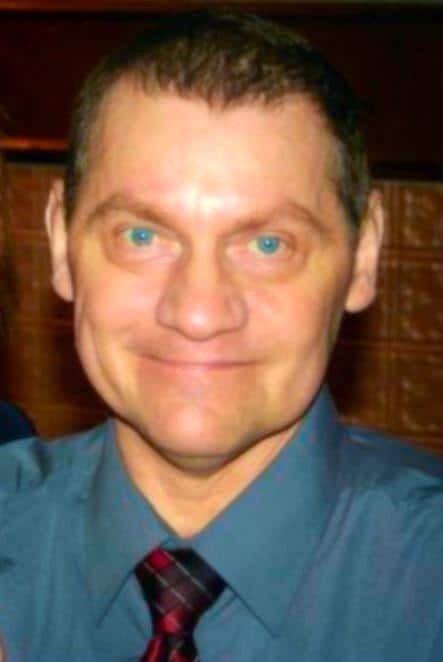 He will be fondly remembered by his sister Lu-Anne Renzie; his niece Deanna; his nephew Michael; his step sisters Shelley (Glenn) Tocher and Cindy (Drew) Milne; step brothers Terry (Deb) Roy and John Petz. As well as Uncle George (Edna) Quenneville, Uncle Charles (Carol) Quenneville along with many cousins, nieces and nephews from whom he found so much inspiration and love. Albert was an avid fisherman in his younger years. You could find him on the Grand River boating and fishing with his daughter Hollie trying to catch the biggest pickerel. Albert was a gentle and loving soul who demonstrated amazing grace, strength, resilience and optimism throughout his life when facing health issues. He is an inspiration to us all. We will miss his sense of humour, kindness, Love and his constant smile. The world will be a lesser place without him.